The marriage of civilian open-source data with political disinformation campaigns has the potential to unjustly affect electoral outcomes, as seen with the 2016 U.S. presidential elections. Such tinkering within the Indian electoral system could lead to the deepening of existing social discord, loss of civic trust in the electoral system, and the compromise of basic democratic principles. Recent allegations against data mining and analytics firm Cambridge Analytica’s use of Facebook users’ data to the advantage of the Trump campaign raises questions about how parties may follow similar tactics in India to influence the upcoming 2019 general elections. 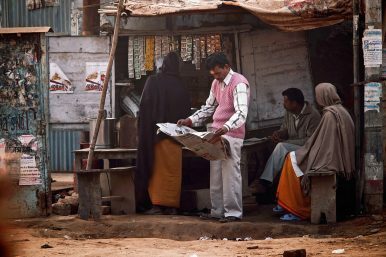 Deliberations over social media sites between the Bharatiya Janata Party (BJP) and the Indian National Congress party have focused attention of late on topics of disinformation, fake news, and accusations of populist tactics. On March 22, the Times of India reported thatRahul Gandhi and members of the BJP have accused one another of having links to Cambridge Analytica. On March 27, Christopher Wylie, former director of research of Cambridge Analytica, testified to a British parliamentary committee that the Congress party was a client of the company in India. Concurrently, reports emerged of the BJP’s alleged ties to SCL Group, the parent company of Cambridge Analytica, in the run-up to the BJP’s electoral victory in 2014. On June 1, Prime Minister Narendra Modi of India delivered a keynote address at the International Institute for Strategic Studies (IISS)–hosted “Shangri-La Dialogue 2018” in Singapore. While his presence was historic, he assiduously avoided confrontational rhetoric and offered little vision for India’s future role in the region. He offered a lengthy overview of India’s current security posture but avoided any mention of hot spots such as North Korea or Pakistan. Mr. Modi portrayed India’s ties with China in a hopeful light. Upcoming bilateral meetings, such as the U.S.-India “2+2” in July, loom large to help define India’s emerging security role as an Indo-Pacific anchor. Indira Gandhi's biggest worry after the surrender of Pakistan in 1971 was the safety of Mujibur Rahman. The release of Pakistani POWs was the price Zulfiqar Ali Bhutto (and the ISI) extracted for the safe return of the Bangladeshi leader. 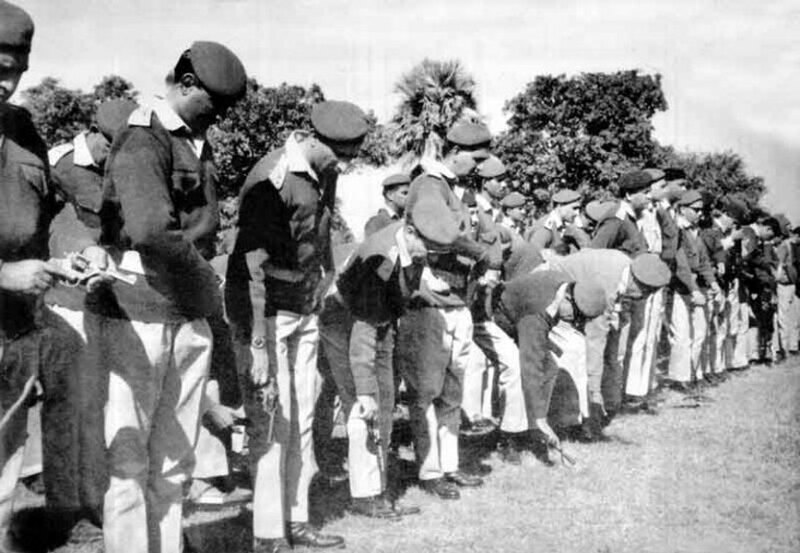 On August 2, 1972 – eight months after the 13-day India-Pakistan war ended on December 16, 1971 – the two countries signed the Shimla Agreement under which India agreed to release all the 93,000 Pakistani prisoners of war (POW) its army had taken during the course of the war. This proved to be a controversial decision, with many in India questioning why Prime Minister Indira Gandhi had squandered a golden opportunity to bargain with Pakistan and settle the Kashmir problem on India’s terms. Trans-Pacific View author Mercy Kuo regularly engages subject-matter experts, policy practitioners, and strategic thinkers across the globe for their diverse insights into U.S. Asia policy. This conversation with Harrison Akins – Research Fellow at the Howard H. Baker Jr. Center for Public Policy at the University of Tennessee who specializes in South Asian politics – is the 141st in “The Trans-Pacific View Insight Series.” Explain the rationale and impact of the U.S. decision to stop military financing to Pakistan. In Washington, heads are spinning trying to apprise China’s global Belt and Road Initiative (BRI). 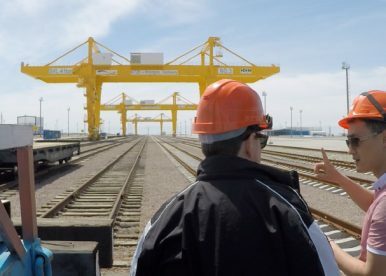 Totaling nearly $500 billion in projects and pledges to date, the BRI seeks to provide much-needed infrastructure financing to underdeveloped countries and rewrite the map of global commerce by linking international markets to Beijing. Washington policy wonks are busy penning op-eds in an attempt to make sense of Beijing’s sweeping ambitions. But until U.S. policymakers come to terms with the nature of the challenge posed by China’s BRI, they will not be able to mount a credible alternative. With the start date looming for U.S. tariffs on Chinese goods, the latest round of U.S.-China trade discussions — possibly the last before tariffs take effect — ended without a breakthrough. 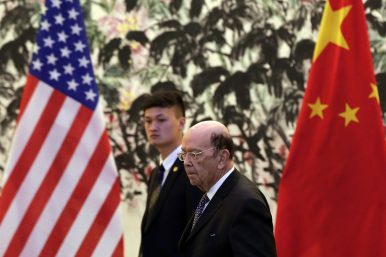 U.S. Commerce Secretary Wilbur Ross was in Beijing on June 2 and 3, for talks with Chinese officials led by Vice Premier Liu He, according to Xinhua. Neither side seemed particularly happy with the progress made at the latest discussions. The United States and China seemed to have reached a breakthrough previously, only for that agreement to come quickly undone. As The Diplomat reported previously, on May 20 U.S. Treasury Secretary Steven Mnuchin declared the trade war to be “on hold.” But just nine days later, a White House statement declared the U.S. intention to place a 25 percent tariffs on $50 billion worth of Chinese imports, focusing on technology products. After the Chinese PLA Air Force disclosed on May 18 that multi-type bombers including the H-6K conducted take-off and landing training on islands in the South China Sea, some Russian media then reported that the airports on the islands would ensure that Chinese bombers be able to conduct long-range patrols over the sea routes leading to the Malacca Strait. “The Malacca Strait, as an important passage linking the South China Sea, has enormous economic and military significance. If the Chinese air force’s long-range bombers can conduct patrols over the Malacca Strait, the surrounding areas will certainly be under deterrence. We can tell the world that we have the capability, though we aren’t likely to do so,” military researcher Lan Shunzheng said in a recent interview by Science and Technology Daily newspaper. 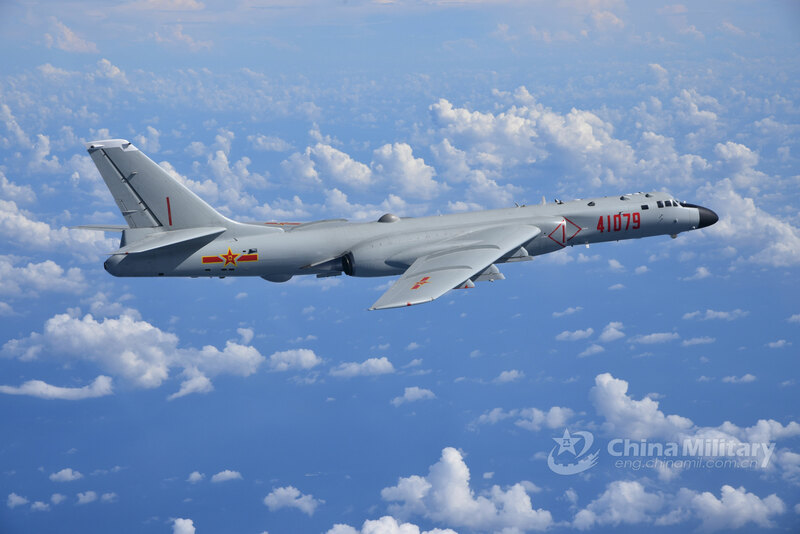 Military expert Wang Mingliang also said that the take-off and landing training involving multi-type bombers on the islands in the South China Sea enhanced the PLA Air Force’s combat capability and combat readiness to respond to various maritime security threats. The Shangri La Dialogue, the premier regional defense forum held in Singapore, did not disappoint this year. A record number of defense ministers and other top-ranking officials from 40 countries participated in the 17th annual dialogue, which convened June 1–3. Alongside the rhetorical fireworks between the United States and China that we have come to expect at this forum, the geostrategic concept of the “Indo-Pacific” region quickly emerged as the dominant theme of the conference. I said two weeks ago that I was going to hold off on writing about China again until the dust settled. It now appears that the dust is never going to settle. Each time the United States seems to be set on a course of action, the president shifts gears and kicks the dust up all over again. Many people have commented on how bad policy chaos and uncertainty are for businesses simply trying to survive in a competitive world, so I won’t go down that particular road except to say I agree with the concern. In my experience representing businesses, what they most value from their government is policy consistency and clear lines. The vast majority of them want to obey the rules, but to do that they need to know what the rules are, and they need to have some confidence that today’s rules will be the same ones they’ll be expected to adhere to next week, next month, and next year. Sadly, we are a long way from that. A Chinese-made CH-5 reconnaissance and combat drone and its compatible missiles at the 11th China International Aviation and Aerospace Exhibition in Zhuhai city in south China's Guangdong province on November 2, 2016. Earlier this month Chinese supreme leader Xi Jinping met with senior military scientists as chairman of the all-powerful Central Military Commission. 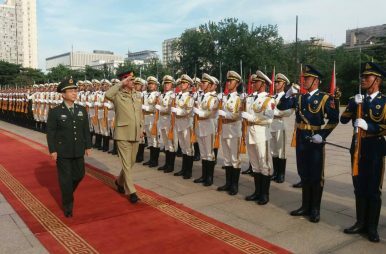 During the meeting, the Chinese leader was photographed at the PLA Academy of Military Sciences shaking hands with Major General Li Deyi, a leading authority on artificial intelligence, or AI, and a key figure in the Chinese military’s effort to overtake the United States in the emerging field of advanced weapons. The phone the Chinese intelligence operatives gave Kevin Mallory was a specialized spy gadget. If it had worked like it was supposed to, he might be a free man today. The former CIA officer, on trial in Alexandria federal court for espionage, freely told his old colleagues that he had been approached by those spies on social media in February of 2017. He said he had been invited on two trips to China and given a Samsung Galaxy phone with special encryption capabilities. What he didn’t tell his U.S. intelligence contacts, and, according to prosecutors, what he thought they would never learn was that he also traded classified documents to the Chinese agents in exchange for $25,000. Mallory, a 61-year-old from Leesburg, Va., who also served in the Defense Intelligence Agency, State Department and U.S. Army, was arrested last spring. While prosecutors say he was selling secrets, he contends he was trying to expose the Chinese spies. Whatever jurors ultimately decide, the veteran intelligence operative’s trial has offered a glimpse into some of the inner workings of both Chinese espionage and American attempts to counter it. Israeli soldiers walk near mobile artillery units in the Israeli-occupied Golan Heights, May 9, 2018. Tensions on Israel's northern border with Syria have heated up as Israel objects to the presence of Iranian forces in southern Syria. Russian and Israeli officials met this week in Moscow to discuss Israel’s concerns over the extent of Iran’s current and future presence in Syria. Israeli Defense Minister Avigdor Liberman and other top Israeli officials met May 31 withRussian Defense Minister Sergei Shoigu. The primary focus of the visit was the situation in Syria and specifically, in Liberman’s words, “the entrenchment of Iran and its proxies” there. United States President Donald Trump appears to worry a lot about Iran, a concern that is shared by his secretary of state and national security adviser. They were so worried about a nuclear Iran that they revoked the international agreement known as the Iran deal, which was supposed to prevent Tehran from developing nuclear weapons. Instead, Trump now demands Iran’s de facto surrender. However, the administration is so far is backed only by Israel and Saudi Arabia, which want America to do their dirty work. Why is the Trump administration so fearful of Tehran? Iran is a struggling regional power. It lags well behind its competitors in economic and military clout. Even its greatest enemy, Saudi Arabia, dismisses the Islamic Republic as being no match. Any instance of political turmoil in one of Europe’s bigger economics triggers predictions of the imminent collapse of the European Union or the euro area. 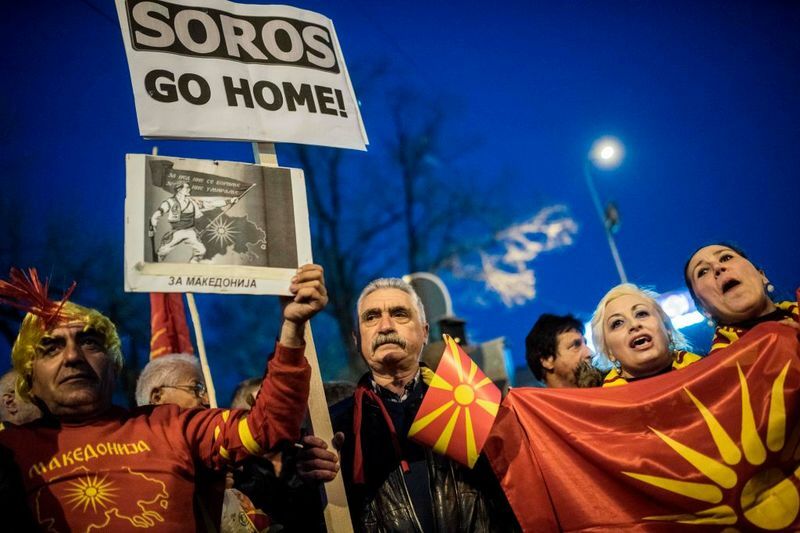 The latest prophet of doom is George Soros, who recently proclaimed that “everything that could go wrong has gone wrong” for Europe. But at such moments, I’m with James Gorman, Morgan Stanley’s chief executive officer, who said the billionaire’s analysis was “ridiculous.” Soros’s warnings are typical of the “Europe is in danger” school of thought. In a speechto the European Council on Foreign Relations in Paris on May 29, he said the path to oblivion started with the euro zone’s “fiscal retrenchment” after the financial crisis of 2008, which turned a once-equal alliance of nations into a union of creditors and debtors. That led to a surge in populism, which was exacerbated by the mishandled refugee crisis of 2015. Europe is set to enter a new period of political uncertainty after two populist parties in Italy, the Five Star Movement and the League, agreed to form a new government together. After a week of uncertainty that has spooked markets, Italy, the eurozone’s third and the world’s eighth-largest economy, finds itself run by two populist parties that have in the past expressed deep scepticism of Italy’s membership of the eurozone, as well as opposing EU policies on migration. Italy is a country where the two major EU crises of previous years cross paths. Italy has suffered both from long-standing economic malaise, made more acute in the years of the eurozone crisis, and a mounting migration crisis in the Mediterranean. In both cases, Five Star and the League have fostered the perception of many Italians that the EU not only failed to help but outright harmed Italy by imposing upon it punishing economic reforms and leaving it without help to manage the influx of refugees on its shores. While Israeli Prime Minister Benjamin Netanyahu marched in Moscow with Russian President Vladimir Putin in the Immortal Regiment in memory of Russian fighters who died in World War II, Israel was getting ready to retaliate for an Iranian rocket attack on Israeli military units in the strategically sensitive Golan. Israel attributed the missile attack to Iran’s al-Quds Force, an elite unit of Iran’s Revolutionary Guards Corps (IRGC) operating in Syria. The Quds Force reports directly to the Supreme Leader of Iran, Ali Khamenei, who certainly authorized the Iranian strike and must take full responsibility for the consequences. In the summer of 2015, seven years after the financial crisis and with no end in sight to the ensuing economic stagnation for millions of citizens, I visited a new club. Nestled among the hedge-fund managers on Grosvenor Street in Mayfair, Number Twenty had recently been opened by accountancy firm KPMG. It was, said the firm’s then UK chairman Simon Collins in the fluent corporate-speak favoured by today’s top accountants, “a West End space” for clients “to meet, mingle and touch down”. The cost of the 15-year lease on the five-storey building was undisclosed, but would have been many tens of millions of pounds. It was evidently a price worth paying to look after the right people. For decades, China has waged a trade war, targeting U.S. industries and stealing jobs from ordinary American workers, while multinationals, Wall Street banks and the Ivy Leaguers and engineers they employ have been co-opted, made rich and used as advocates of appeasement to both Republican and Democratic administrations. President Obama’s weakness on trade — along with the left’s assault on religious liberty and obsessions with guns, race and gender — put Donald Trump in the White House. Unfortunately, his administration appears clueless about how to win at negotiations with China, and the recent truce announced by Treasury Secretary Steven Mnuchin will not likely hold up. Drones are exploding in popularity, but if certain nefarious individuals have their way drones may soon be actually exploding. There is a real potential for enemies to use drones to harm Americans and damage our nation’s critical infrastructure. Already, overseas terrorists are deploying drone bombers. Domestic criminals are also using drones to commit an array of crimes, including ferrying contraband into prisons, with disastrous consequences. Earlier this month, an FBI official reported that a drone swarm disrupted a hostage rescue operation by driving agents from their observation post. Unfortunately, efforts to counter such threats are currently hamstrung by a series of federal laws that make it difficult, if not impossible, for law enforcement agencies to effectively interdict or engage a drone. The reason for this is because doing so would risk criminal prosecution for violating U.S. laws that make it a crime to damage or destroy an aircraft, hack a computer, or interfere with wireless communications, among others. Are We Headed for a ‘Cyber Cuban Missile Crisis’ with Russia? Bottom Line: The risk posed to U.S. national security by what are believed to be Russian-backed hacking groups, is similar to the October 1962 Cuban Missile Crisis according to Cipher Brief Experts, but different, in that the U.S. has no clear and obvious deterrent this time around. 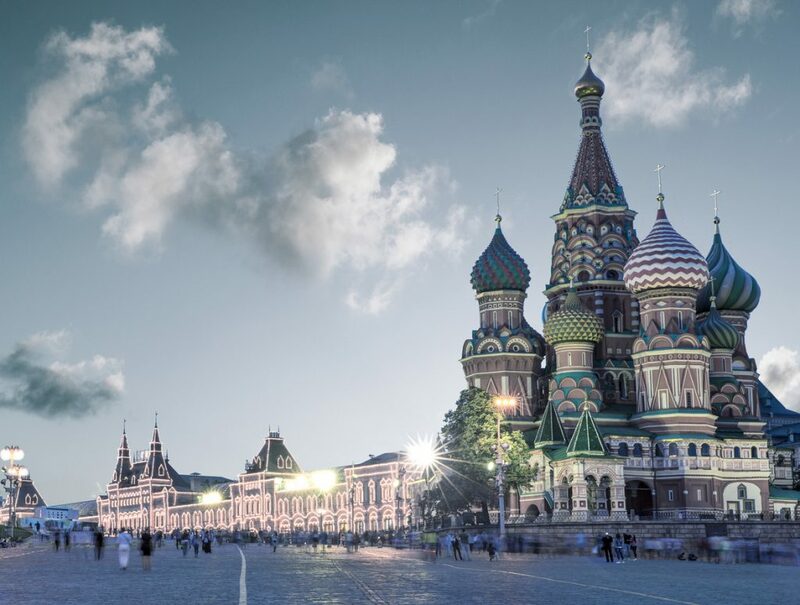 Recent Developments: The FBI recently forced its way between a hacking group known as ‘Sofacy’ – believed to be linked to the Russian military – and the unwitting owners of more than half a million wireless routers. Armed with a court order, The Bureau seized control of a broad network of infected routers as well as the domain it believed was serving as the command and control infrastructure of a world-wide botnet. Naming and shaming isn't enough. Deterrence in cyberspace requires consequences. Potential adversaries should put on notice about what's unacceptable, and what will happen if they cross the cyber line. "If cyberattacks really pose a significant threat, governments need to start thinking of them like they think of other incidents in the physical world," says a new policy paper from the Australian Strategic Policy Institute (ASPI). According to the British Spy Service, MI5, espionage is “the process of obtaining information that is not normally publicly available, using human sources (agents) or technical means (like hacking into computer systems). It may also involve seeking to influence decision-makers and opinion-influencers to benefit the interests of a foreign power”. The collection of unclassified publicly available information can be considered espionage but is generally not thought of as damaging unlike the collection of classified data. This type of information can be harmful to the national security and economic well-being of countries. Is AI the answer to Army electronic warfare troubles? This is especially true for Army soldiers deployed in Europe. Those officers have to deal with cell phones, radio communications and other types of spectrum interference in an environment regularly contested by Russia, considered a peer adversary. Officials say officers are saturated with sensor information that they must turn into actionable intelligence. Now, the Army is looking to artificial intelligence and machine learning to lessen the load. 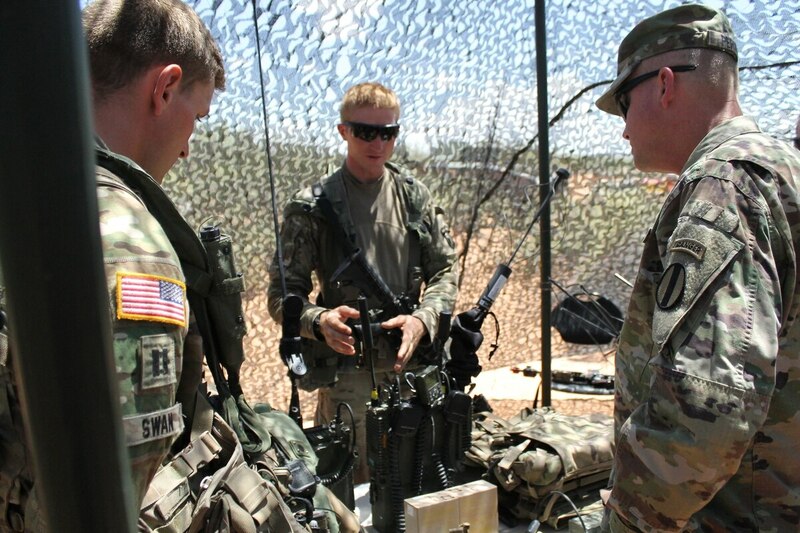 Specifically, through the Rapid Capabilities Office, the service is trying to help those officers through a challenge to help classify signals. A federal study found signs that surveillance devices for intercepting cellphone calls and texts were operating near the White House and other sensitive locations in the Washington area last year. A Department of Homeland Security program discovered evidence of the surveillance devices, called IMSI catchers, as part of federal testing last year, according to a letter from DHS to Sen. Ron Wyden (D-Ore.) on May 22. The letter didn’t specify what entity operated the devices and left open the possibility that there could be alternative explanations for the suspicious cellular signals collected by the federal testing program last year. The discovery bolsters years of independent research suggesting that foreign intelligence agencies use sophisticated interception technology to spy on officials working within the hub of federal power in the nation’s capital. Experts in surveillance technology say that IMSI catchers — sometimes known by one popular brand name, StingRay — are a standard part of the tool kit for many foreign intelligence services, including for such geopolitical rivals as Russia and China.